Crochet this easy to make frilly cotton scarf. 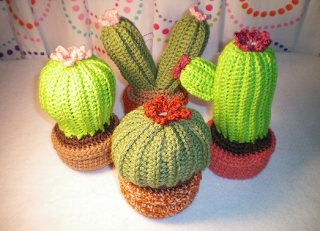 So much fun to make, you will want to make more than one. 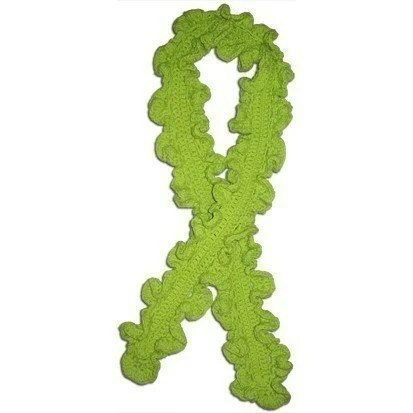 Any Worsted Weight yarn. and #02020 Coral Swirl (ombre). I stitched mine in burgundy #10 crochet cotton thread. 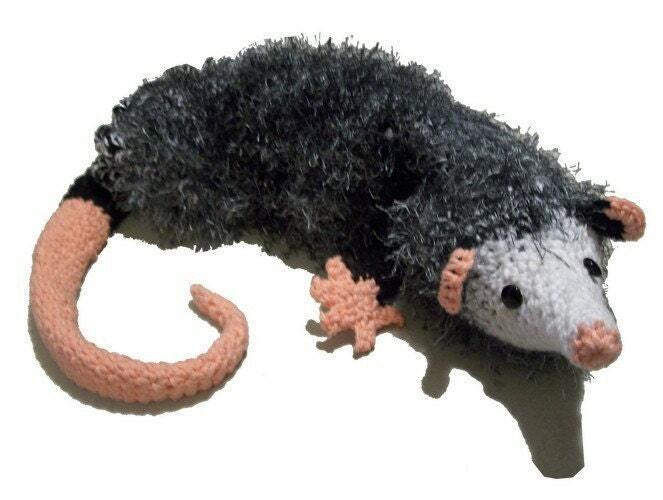 Crochet a cute drawstring bag in the shape of a lifelike North American Opossum using cotton yarn and Fun Fur. This is a great crochet lace pattern for beginner to intermediate crocheters. 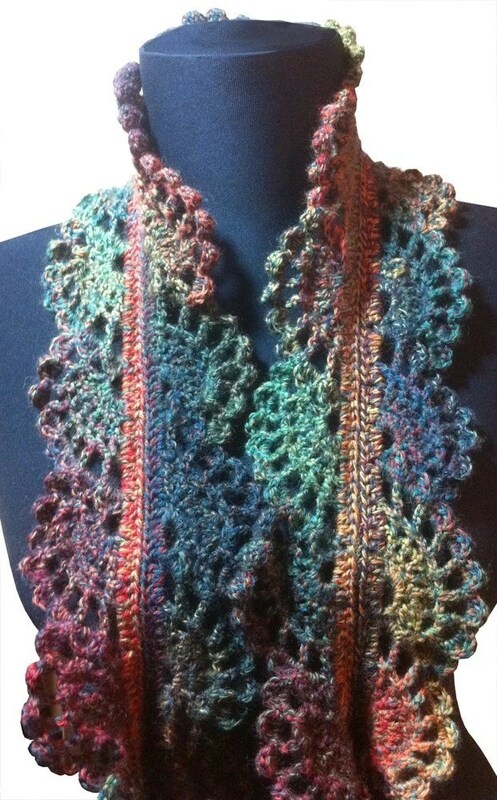 So much fun to make, you’ll want to make several using a variety of different yarns. Select a light weight yarn or sport yarn if you would like to maintain gauge. However, you could probably use almost any yarn you like to crochet up a beautiful lace scarf in a variety of sizes.